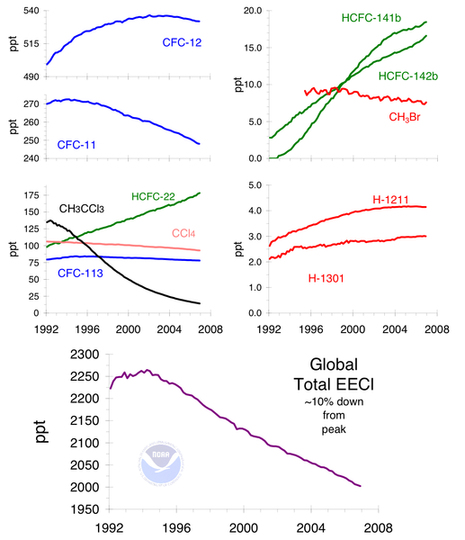 The Montreal Protocol on Substances That Deplete the Ozone Layer (a protocol to the Vienna Convention for the Protection of the Ozone Layer) is an international treaty designed to protect the ozone layer by phasing out the production of a number of substances believed to be responsible for ozone depletion. The treaty was opened for signature on September 16, 1987, and entered into force on January 1, 1989, followed by a first meeting in Helsinki, May 1989. Since then, it has undergone seven revisions, in 1990 (London), 1991 (Nairobi), 1992 (Copenhagen), 1993 (Bangkok), 1995 (Vienna), 1997 (Montreal), and 1999 (Beijing). 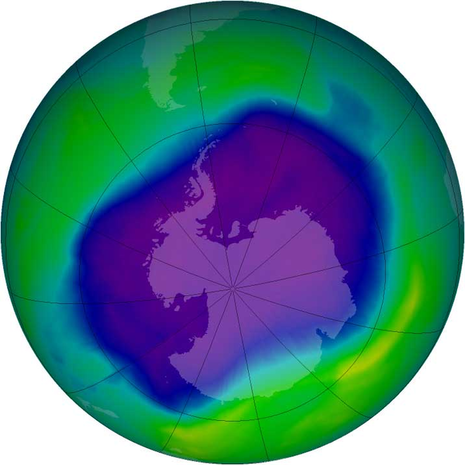 It is believed that if the international agreement is adhered to, the ozone layer is expected to recover by 2050. Due to its widespread adoption and implementation it has been hailed as an example of exceptional international co-operation with Kofi Annan quoted as saying that "perhaps the single most successful international agreement to date has been the Montreal Protocol". It has been ratified by 196 states.